Help out this beautiful Princess, whose gown is waiting to be decorated for the ball. 1. Print off the template below. Right click on the image. Save the image to your computer. Print the image. 2. 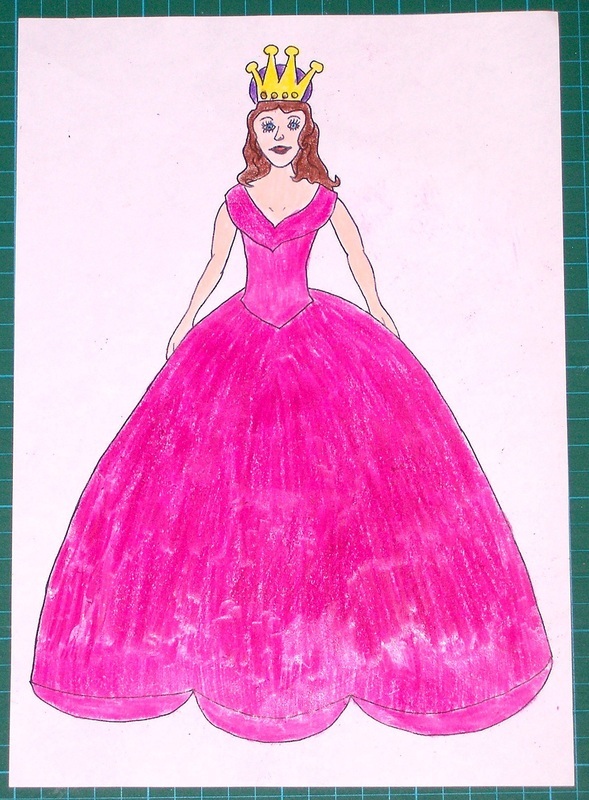 Colour in the Princess. I used crayons, but you could use textas, pens or pencils. 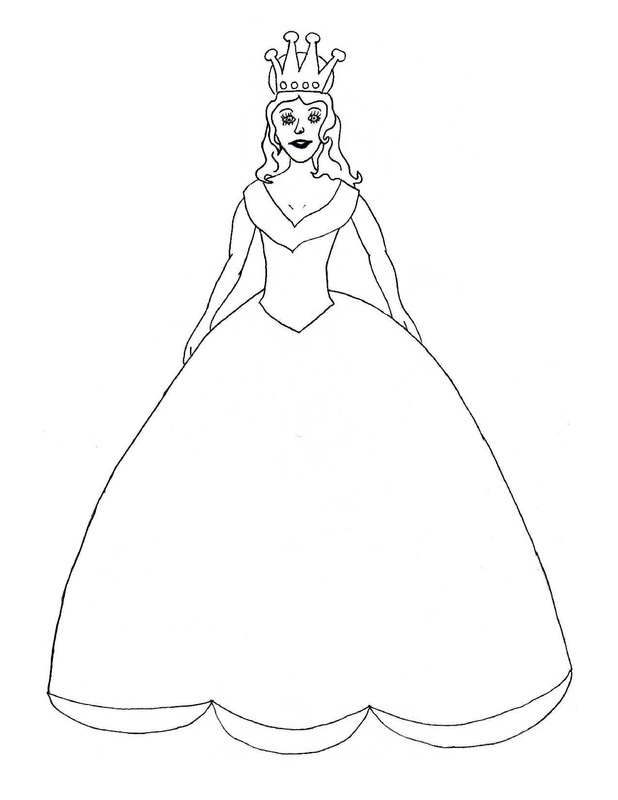 This Princess has a decorative trim along the bottom of her dress, with scrunched pieces of tissue paper dotted along to look like small roses. 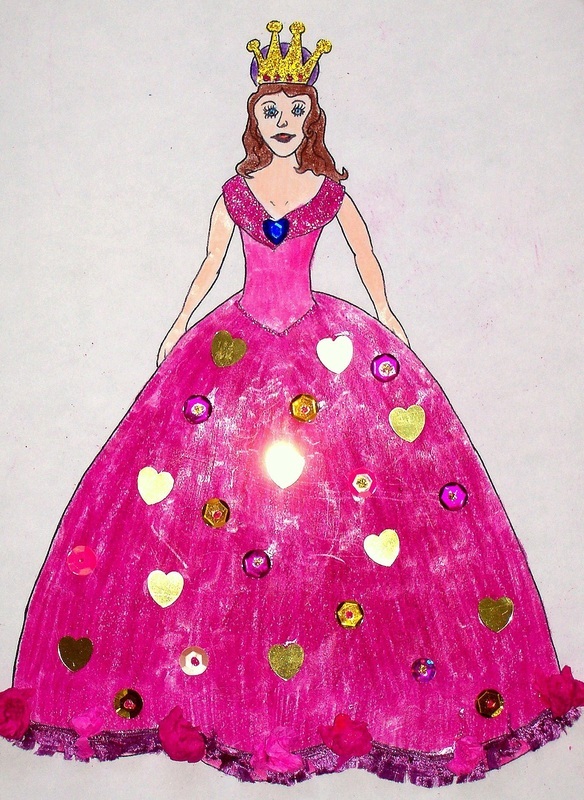 She has heart-shaped and regular sequins on her gown. 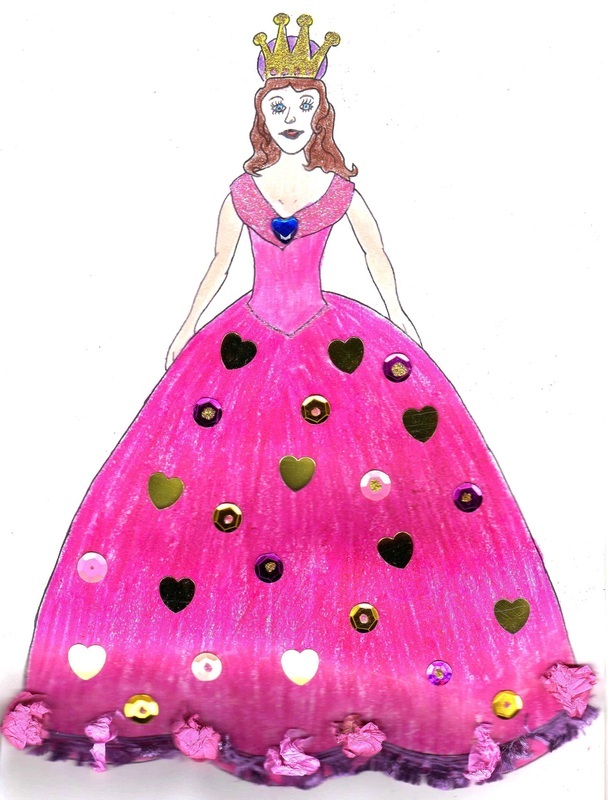 There is a heart-shaped rhinestone as a jewel on the gown's collar, and gown's collar is finished with glitter glue. Glitter glue was also used to add contrasting dots to the sequins, a line around her waist, and to add shine to her crown.